On whichever side of domestic violence you find yourself, as the victim or the accused, you need legal help. In Spring Hill, Murfreesboro, Lawrenceburg and Pulaski, an experienced domestic violence lawyer from the Law Offices of Adrian H. Altshuler & Associates can step in and provide you with valuable legal counsel. A protective order can also award temporary custody and financial support to the victim along with requiring that the alleged abuser receive counseling to address the violence, control issues, or substance abuse problems. Orders can place the care of animals in danger of abuse under the victim or in an animal foster situation and also demand that the alleged abuser vacate the home premises (pending a hearing) and pay fees for the breach of a lease or apartment. In some cases, a false accusation of domestic violence is a manipulation to try to gain child custody or certain other advantages. The repercussions of a domestic violence charge can be devastating, severely limiting the accused individual’s freedoms. It may also lead to losing child custody rights. You may face potential job loss and other reprisals from friends or family before your case is ever heard before a judge. In Franklin, Columbia, Murfreesboro, Brentwood, Spring Hill, Lawrenceburg and Pulaski, an experienced domestic abuse attorney can help you understand your rights and how best to deal with the situation. As any criminal defense attorney will tell you, maintaining your Fifth Amendment rights against self-incrimination may be crucial for your defense. Therefore, not speaking with anyone other than your attorney is likely in your best interests, to safeguard against having your comments misconstrued, twisted, or taken out of context. Your attorney can fight the protective order by presenting evidence at the hearing and work to have the order lifted. The Law Offices of Adrian H. Altshuler & Associates works vigorously to handle your domestic violence case, offering representation that safeguards your well-being. Explain your side of the story to one of our skilled lawyers and allow us to put decades of experience to work on your behalf. 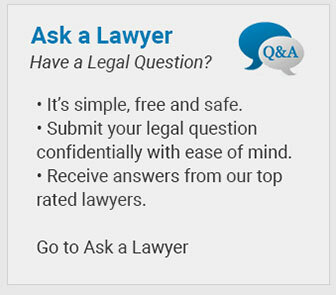 Call (615) 412-1121 or use our convenient online form to schedule your free initial consultation.